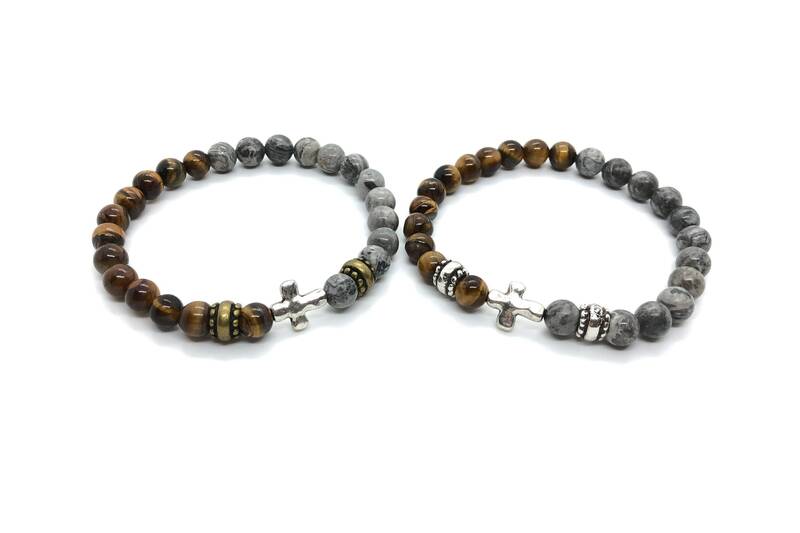 Bracelet "XANNA STONE MEN (36)"
Men's bracelet with jasper Beads Grey Map (8mm) and Tiger eye (8 mm) with tan beads. 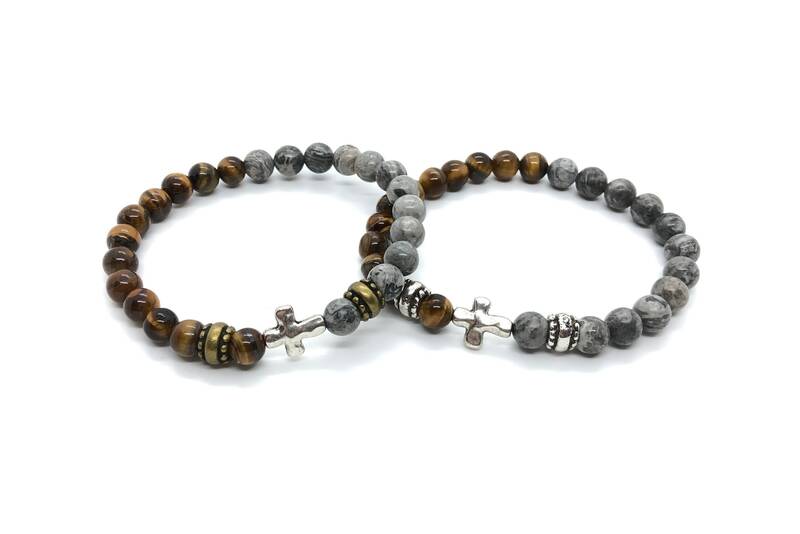 The Jasper Témino comes from the Orient and in antiquity it was synonymous with quartz, in ancient Egypt they were used as tallándolos amulets in the form of a beetle, and in the Middle Ages it was considered the stone of the victors, which embedded in their swords, as was the case Of Siegfried who wore a Jasper on the hilt of Balmung. 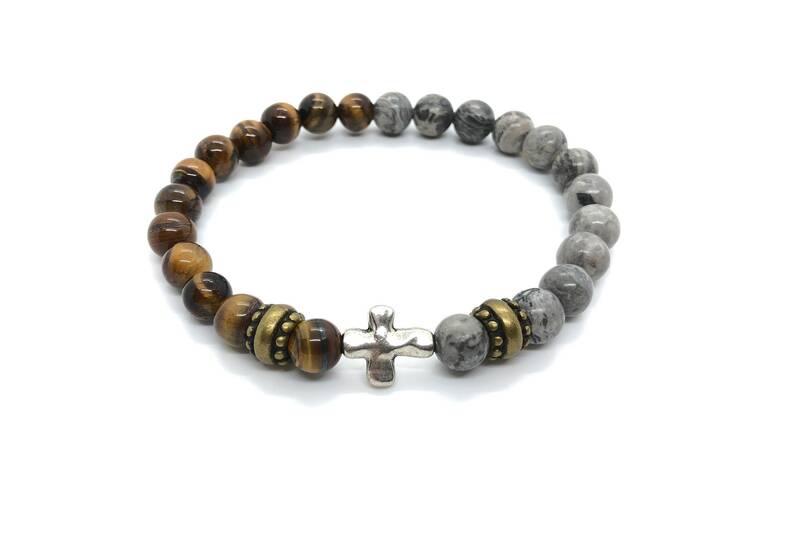 It is said that blue Jasper connects you to the spiritual world, balances the energy of yin-yang, blue Minerals has a chilling and sedative effect, promotes relaxation, sincerity and openness, help to overcome fear and recover the mood, to develop Internal strength and equilibrium.